The current furor over the Dead Sea Scrolls has mostly been examined by the media as a simple scholarly feud. It is scandal enough that scroll researchers have restricted access by "outsiders" to the scrolls for over forty years. (The history and politics of the scrolls' acquisition is long, complex, and well known, and I will not go into it here.) But if it were merely yet another academic "turf" war or simple scholarly egoism, the controversy would not merit as much attention. Based on Josephus' accounts, a popular image of the Essenes has been that they were pacifist, ascetic, celibate, separatist, and apolitical mystics. This image is at least partially true: but Josephus contradicts himself at various points. He adds, almost as an afterthought, the observation that some of the Essenes were married, participated in Zealot revolutionary activities, and lived within the city of Jerusalem. It is also curious that the speech at Masada delivered by the surviving Zealot commander seems remarkably Essene in orientation, at least as recorded by Josephus. Archaeological evidence found at Qumran points out some interesting facts: a forge for weapons was found, as well as many Roman and non-Roman arrowheads, and evidence of fortifications. This suggests that Qumran may have been more of a fortress than a monastery. It is curious as to why the Romans appear to have driven out these harmless mystics somewhere around AD 68, right in the middle of the Jewish Revolt. Also found at Qumran were graves for women and children; and coins minted in Jerusalem as well as artifacts produced there. Family life and commercial integration appear to have been very "mainstream" for the Qumran community. But the internal evidence of the scrolls does not make the Essenes "ordinary joes." The so-called Temple Scroll suggests that they had a dream of rebuilding a new Temple of visionary dimensions after razing Herod's to the ground. The Copper Scroll suggests they had knowledge of the whereabouts of many Temple treasures and connections to some elements of the priesthood, although they had fierce opposition to the wealthy, elite, pro-Roman, Hellenizing Sadducean Temple establishment. They had a very particular Messianic expectation of the arrival of two "twin Messiahs": the "Aaronic Messiah" would be the legitimate anointed high priest and he would herald the "Davidic Messiah" who would restore the true sacred kingship. The War Scroll suggests that they had a vision of a cosmic conflict between the forces of light and darkness: the Gentile "kittim" or Romans against the "sons of light," namely, the Essenes. Other scrolls interpret biblical prophecies to describe current political events, offer strange apocalyptic and eschatological predictions, and incorporate some of the "pseudepigraphal" and "apocryphal" material of the Intertestamental Period. And the "Damascus" Document suggests that their leader, the Teacher of Righteousness, was persecuted by an illegitimate member of the priesthood they called the Wicked Priest, and put to death. What are the scroll researchers really afraid of? Robert Eisenman, an independent scholar, notes that more may be at stake than just academic defensiveness. Eisenman notes that many of the names used by the Essenes to refer to themselves -- Zadokim (the Just), Ebionim (the Poor), Nazoreans (the Pure), Hasideans (Zealous for the law), etc. -- are also some of the appellations used by the entity known as the "early Church" or "Jewish-Christians" or "Jerusalem Church." Eisenman believes that the Zealots, Essenes, Nazoreans, etc. were all just names for one single movement with different aspects, but very specific goals: restoration of the legitimate anointed (Meshiach) king and high priest, expulsion of the Roman occupation and the pro-Roman Herodians and Sadducees, and religious reconstruction. Jesus, then, may have been a legitimate dynast (his genealogy from the line of David is given in two of the Synoptic Gospels), and a real political threat to the Romans , not the religious authorities of the Sanhedrin. After his death, Eisenman notes, Jesus' followers coalesced behind his brother James the Just, who may well have been the Essene Teacher of Righteousness; he was put to death by the pro-Roman high priest Phinehas, who is an excellent candidate for the Wicked Priest. A bold hypothesis, you might ask. If early Christianity was really a revolutionary political movement fully within the sphere of Judaism at the time... whence the Christianity of today? That story can be traced to a certain Saul of Tarsus. This tentmaker, who apparently had very influential friends among the Sadducees, was sent to "Damascus" to root out "Christians" there. Of course, he would have had no authority to carry out those orders in a different part of the Empire than Palestine. But if "Damascus" is "Qumran" a new picture begins to emerge... along the way Saul has a "conversion" and becomes Paul, a "Christian." Shortly after this experience, as recorded in the Acts of the New Testament, the very vigorous Paul travels all over the Roman Empire and preaches Christ. Except... James and members of the Jerusalem "Church" complain he is preaching "another Christ," telling people to be "apostates from the law," and promoting "deviation." Imagine this scenario: James and his followers attempt a Messianic crusade focusing on returning the "lost sheep" of Israel to the fold. (The key to successful revolt would be the enlistment of Jews all over the Empire -- many Jews lived in Persia, Babylonia, and Egypt at the time.) Along comes this Paul, who claims he wants to assist them in their efforts for revolutionary recruitment. Only... he seems to be preaching a new religion which is distinct from, and even inherently opposed to Judaism: proclaiming that a very holy but earthly man was also divine, recruiting among the Gentiles using pagan concepts (the dying-and-resurrected god and virgin birth are features of the Mithras and Attis cults), and betraying Jewish nationalist aspirations by focusing on a very otherworldly "kingdom of heaven" rather than a concrete political restoration. So who was Paul? Eisenman suggests he may have been an agent provocateur . He may have even been the individual that the Damascus Document identifies as "the Liar" and "the Apostate." And as to why he went to the effort to found a new religion, Eisenman suggests that it was a brilliantly conceived means to defuse the very this-world, political significance of Jesus and his Davidic bloodline. As an agent of the pro-Roman Sadducee establishment, he found a perfect way to deflect anti-Roman agitation into yet another Roman mystery cult. He apparently succeeded very well. When Bar Kochba revolted yet again against the Romans in 132 CE, he turned to the "Christians" for help, and became extremely angry when they declared opposition to his goals. The Roman authorities still remained concerned about potential threats: Eusebius records that the Emperor went to special efforts to assure that members of Jesus' family, the so-called Desposyni -- in the 2nd century CE! -- remained loyal to the Empire and were not planning rebellion. The Romans may have had more reasons to throw "Christians" to the lions than merely worrying that the moralistic folk might cancel their orgies and parties, especially if early Christianity were an anti-Roman political movement. In a sense, Constantine completes our story. His efforts to make "Roman" Christianity the religion of the Empire (which suggests that the "bishops" of cities such as Antioch, Alexandria, and Jerusalem may have had another "brand") and to impose uniformity through the Council of Nicaea essentially cut off the stream of "Nazorean Christianity" from history. The New Testament has clearly been altered (if the accounts of Mark, etc. thirty years after the fact are even accurate) to provide a pro-Roman bias. The Sanhedrin, rather than Roman authorities, are blamed for Jesus' death, as are the "Jews" in some vague way. There are clearly Zealots in Jesus' entourage and John the Baptist appears to be an Essene; some of Jesus' sayings are borrowed from prominent Pharisees such as Hillel. Yet the New Testament seems to condemn all these groups. Incidents suggesting violent resistance, revolutionary activity, dynastic marriage, and political alliance seem to be hinted at but quietly hushed up. And everywhere attention to Rome and the real situation in Palestine are deflected to otherworldly concerns; Jesus is transformed into some kind of divine figure, though he himself repudiates those who believe such a thing. The New Testament seems to be a sort of fairy tale situated in a very bloody, turbulent time. 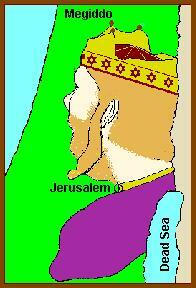 Moses Hess wrote an important book in the 19th century entitled Rome and Jerusalem . He examined the twin roots of modern Western civilization, Hebraic and Hellenistic, monotheistic and pagan, and examined their opposition. It was clear that, for a while, the two poles struggled mightily against one another. The result was a victory of one and then a curious fusion of the two ... and through "Christendom" and the rule of the Catholic Church the West was nurtured on this admixture. Rome won that conflict, perhaps through historical accident as much as anything else. The West is a curious blend of Roman values -- hierarchy, martial rule, imperialism, bread and circuses -- and the Hebraic prophetic tradition of justice, law, and equality. Nietzche knew that and so have others. One might reflect on our "Judaeo-Christian" tradition in light of that.